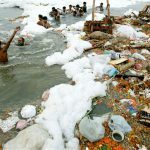 The Yamuna river flowing through Mathura, Vrindavan and Agra has been reduced to no less than a sewer canal these days, choked with piles of accumulated garbage and industrial effluents, which pose a threat to aquatic life and are scaring away pilgrims. 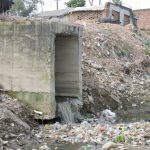 The pollutants are discharged by industrial clusters upstream of Vrindavan, Delhi and Haryana. Last week, when thousands of pilgrims congregated for the holy bath in Mathura for the Yam Dwitiya and Chhath puja celebrations, they were greeted by heaps of dead fish floating around them. 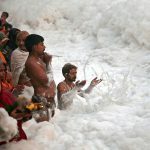 The nauseatic stink put off the pilgrims, who returned to their hotels and dharamshalas for the ritualistic bath. Experts from Lucknow are now studying the cause of the fish deaths. But this is not the first time that such a thing has happened. Even last year, thousands of fish deaths were reported in Agra. 'It has become an annual affair. Tortoises have also been killed. You hardly have any fish left in the river now,' environment activist Ravi Singh told IANS. 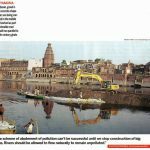 Jagan Nath Poddar of the Friends of Vrindavan forum declares the river 'dead' in Vrindavan. 'With hardly any fresh water flowing, the stink on the ghats and the heaps of garbage are proving a nightmarish experience to the pilgrims. 'In the month of Kartik, a lot of pilgrims visit Vrindavan. We thought the flood waters would help and change the ambience, but unfortunately no initiative was taken to clean up the ghats and restore the water bodies,' Poddar adds. The scene at Mathura's Vishram Ghat and Bengali Ghat is no different. 'The Gokul barrage has proved such a disaster, as it was only storing the sewer waste and industrial effluents flowing down from Delhi and Haryana,' says Jagat of Friends of Vrindavan. 'Even after crores of rupees have been spent on cleaning the Yamuna, it appears it is just another white elephant project. 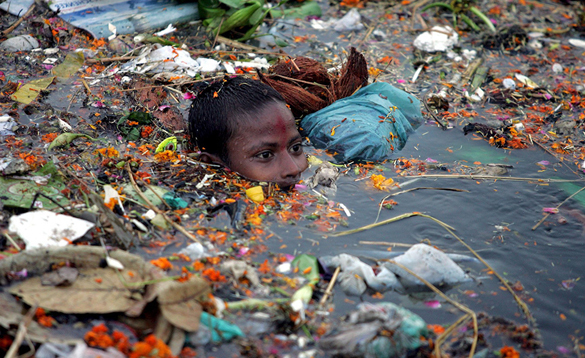 The river remains as polluted as ever, much to the dismay of Mathura people and pilgrims alike. 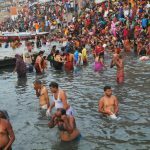 'Despite the importance of sacred bathing during the period from Diwali to Yama Dvitiya, the flow of sewer waste from the Bengali Ghat pumping station into the river in Mathura was not brought to a stop. 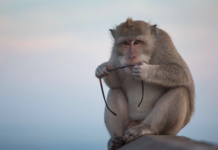 Moreover, the debris left by this year's flood also made bathing difficult for visitors,' he added. 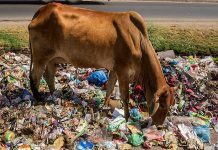 In Agra, garbage dumps are piling up behind the Taj Mahal. 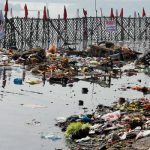 Even the artificial park between the 17th century monument and the Yamuna has not been cleaned up and one can see the flood generated debris and big heaps of polythene stuck up in the fencing. But the authorities are busy passing the buck. The Archaeological Survey of India (ASI) says cleanliness is not its job. The ASI's horticulture department, the developer of the park, says it's the job of the Agra Development Authority (ADA). The ADA passes the buck to Municipal Commissioner Vinay Shankar Pandey, who in turn says the area is not in his jurisdiction. 'Within the city limits, we have ensured that there are no garbage dumps and the drains are regularly cleaned. A helpline has been provided and there is instant response from our teams,' Pandey says.